It has been some time since we have written about the concept of flow on ETY (see What is Flow, and How Can It Improve Healthcare?, Achieving A Flow State in Healthcare: Can We Do It? ), and after recently finding Warren Miller Entertainment’s website once again, I was reminded that flow is not far away if one remembers to seek it. As defined by Mihaly Csikszentmihalyi, being “in flow” means achieving a state of mind, or being, where time stands still and an individual is so in tune with the moment, and so engrossed in the activity, that all awareness of the self or self-consciousness is overtaken by the activity at hand, and a feeling of well-being is experienced. It could be likened to mindfulness at its most intense level–something we are trying to embed within the healthcare culture. We had asked: Could learning to find flow in our healthcare work return the joy and meaning that Dr. Lucian Leape speaks of, and as a result, improve the patient’s experience of care? John Nance, a leader and pioneer in both aviation and medical safety and quality–and for the past 18 years, a familiar face to television audiences as the Aviation Analyst for ABC News and Good Morning America–joined us this year in Telluride for our Patient Safety Summer Camps. John, along with other international patient safety leaders, have come to Telluride over the last 10 years to share their knowledge and passion for patient safety and patient-centered care with the rising leaders of healthcare. It is with a heart full of gratitude that we have welcomed Lucian Leape, Cliff Hughes, Paul Levy, Helen Haskell, Rosemary Gibson, Kim Oates, Richard Corder, David Classen, Carole Hemmelgarn, Bob Galbraith, Gwen Sherwood, Patty Skolnik, and so many other wonderful “teachers” each year to our faculty. Many come to CO every summer because they believe so strongly that we must Educate the Young if we are to deliver the highest quality, safest care possible to our patients. At this year’s Summer Camp, John spoke about the similarities between aviation and healthcare, highlighting the importance of Teamwork, Effective Communication, Leadership, and the power of Debriefing after all activities. His educational messages came to life when one of our faculty, Dr. Roger Leonard, boarded his flight back to the east coast. Roger’s story, shared below, exemplifies almost every skill John spoke to our group about just days ago. While there is still much work ahead for those of us on the Quality and Safety mission, we sometimes forget all the good things our professional caregivers do in the face of very dysfunctional health systems and decreasing resources. Thank you Roger, and a heartfelt thank you to all caregivers who make a difference each and every day in the life of another. My flight from Denver to Washington Dulles was late to depart due to thunderstorms. We left at 10:30 pm and I tried to sleep, but was sufficiently alert to hear the page at approximately 2 am: “Any medical personnel on board?” The flight attendant escorted me to first class where a passenger had what she thought was a seizure. And she was probably right – only it was due to sudden cardiac death. No pulse, no breathing, unconscious. Male, perhaps 45 yo, looked fit, no companion. I tried to get a BP, but the sphygmomanometer was broken. We got another emergency kit and it had a cuff that worked – BP ~115 systolic. I admit that I struggled to get accurate BP recordings because my ears felt like I was 12 ft underwater from the altitude change (and probably a need to see an audiologist). We sorted through the medical kits and I finally found the NS under the neatly packed top layer of drugs. Found the tubing, tried to maintain sterile technique, and got a decent IV in his forearm while fighting postural movements of his upper extremities. Then came VF arrest #2 and #3. Shock, shock, back to NSR. I was able to push lidocaine 100mg IV. While scrounging around the medical kits, I found an endotracheal tube. To me great relief, he kept breathing on his own and had good color. I hadn’t intubated anyone in 40 years. Meanwhile, the pilot was diverting us to Louisville where the EMS team met us. You know how tight the aisles are. We managed to get him onto a back-board, but then had to tilt him to nearly 90 degrees to turn the corner. He was on his way to the hospital and after refueling, we were on our way to Dulles. I got applause and handshakes as I returned to my seat. How strange! After our 4 days together, I could only think that “it’s about the patient, not about me.” I was particularly aware of the calm and effective work of the flight attendants on our team. In Louisville, we needed new fuel and a new flight plan. So, with the extra time I asked to gather all the attendants and debrief. What went well? 1) We successfully resuscitated a passenger with SCD at 30,000 feet. 2) An AED was mission critical and the staff was trained in its use. 3) Our treatment lasted about 45 minutes; we were calm; we explained what we were doing among the team; no one panicked including the other passengers. 4) EMS personnel were at the door upon the Captain’s diversion. What didn’t go well? 1) the first BP cuff malfunctioned. 2) I struggled with obtaining accurate BPs. 3) I was slow to get what I needed out of the medical kits; the IV bag, couldn’t find a tourniquet 4) The patient had not regained consciousness upon departure, but groans were evident. How can we improve? 1) preventive maintenance (PM) on medical equipment. 2) I suggest a digital BP cuff that reads the result without my impaired use of the stethoscope. 3) We should ask nearby passengers to vacate their seats so that we might spread out the medical equipment and drugs. 4) have EMS use an entrance that avoids tight turns, if possible. We become physicians to heal the sick, relieve suffering, comfort those in need, and occasionally we may save a life. I do not know the outcome for this gentleman. I am worried; yet, I am hopeful. I strive to role-model humility. Yet, transparency reveals that I am proud to be a physician and proud of our team of strangers at 30,000 feet. The success of our Telluride Roundtables and Summer Camps over the last ten years can be credited, in large part, to the generous time and participation of our faculty made up of patient safety leaders from around the world. The students and residents chosen to participate through the Telluride Scholars Program have been the beneficiaries of the knowledge and experience these great leaders and teachers all are so willing to share each year. Rosemary Gibson, Rick Boothman, Cliff Hughes, Kim Oates, Peter Angood, Kevin Weiss, Bob Galbraith, David Longnecker, Helen Haskell…the list goes on and on. In the summer of 2011, students had the great fortune of working with Lucian Leape, who joined the faculty of our Telluride Patient Safety Summer Camp. It was an honor to have him with us, and something our alumni–young and old–will always remember. 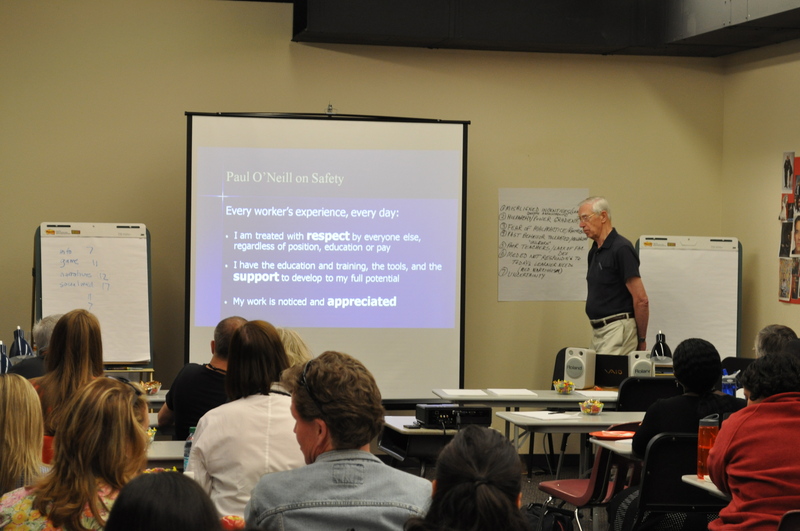 Lucian’s focus that week was managing disruptive behavior and returning joy and meaning to the healthcare profession. The photo included captures him in action doing what he does best–educating the young. As we begin a new calendar year still struggling with many of the issues Lucian called to light in his 1999 seminal work, I believe his teachings on Joy and Meaning in the workplace are more important today than ever before, and that those strategies will play an even greater role in preventing harm to our patients. As healthcare leaders, we need to clear a safe path for all frontline associates to be respected, supported and appreciated. At the same time, we also need to eliminate the disruptive behaviors that have plagued healthcare for far too long. This year, a driving focus should be on ensuring those well intended healthcare professional are elevated, their humanness not only accepted but also protected through just culture approaches and human factor partnerships that mitigate and finally eliminate the potential for patient and employee harm while embracing a workplace built upon the high reliability foundations of a true learning culture. As Lucian continues to remind us, it is our dedicated caregivers working at the bedside that need to feel safe — to know that their effort is appreciated and celebrated, that they have our support, and are respected for the work they do. I came across a post last week on Slate, The Darkest Year of Medical School, revisiting the idea that medical students lose not only empathy during their medical education, but according to author and NYU physician, Danielle Ofri, “altruism…generosity of spirit, love of learning, high ethical standards—are eroded by the end of medical training.” On June 4th, Ofri also published What Doctors Feel: How Emotions Affect the Practice of Medicine, having performed numerous interviews to draw her conclusions. 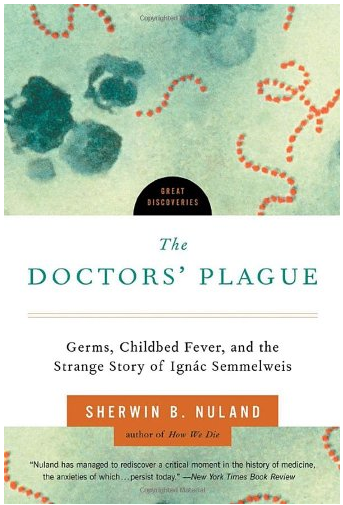 I read some of the comments on her blog post above–many sharing “medical school was great”. Yet research–past and present– shows many students are not having that experience. Ofri’s post and newest publication caught my eye as we embark upon the 9th year of the Telluride Patient Safety Educational Roundtable and Resident/Student Summer Camps. This will be my third year in Telluride. The first year I attended, I had the privilege to share a breakout discussion with Lucian Leape and a group of students in the shadows of the San Juan mountains. Throughout that week, Lucian emphasized the need to get a handle on the bullying that occurs in medicine, and instead, instill a greater respect for all in the medical workplace. He shared that unless we are able to do this — treat one another with respect — patients would pay the price, as well as healthcare providers and students. 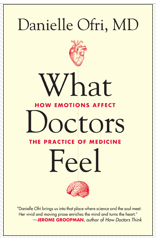 Having not yet read Ofri’s book, I wonder if medical students who report enjoying medical school overall, were safely ensconced within a workplace with the culture of respect that Dr. Leape refers to as being so very important to patient well-being. It is safe to assume just how empowering a culture of respect would be for students, making them feel competent, part of a team and confident in their newly acquired skills. It’s also safe to assume how students who were bullied might feel (see Bullying in Medicine: Just Say No). 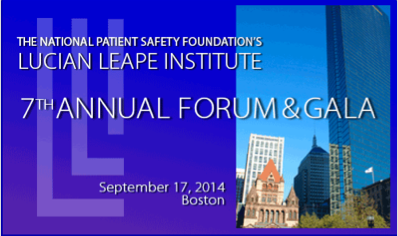 Please enjoy this message from the National Patient Safety Foundation and Dr. Lucian Leape. This video serves as the foreword to the NPSF Online Patient Safety Curriculum.